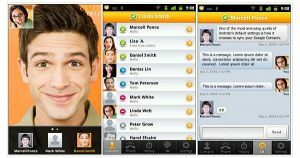 OOVOO Messenger is an awesome application that offers you more than you expect from an instant messenger. The app lets you communicate with your friends and loved one in a simple, fun and elegant manner. 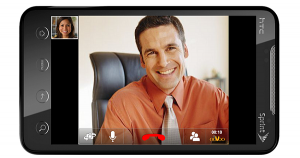 Oovoo is a very popular chat platform parented by Krush Technologies. Its users, numbering more than 175 million, are mostly of the millennial generation and are very engaged with the service. Download Oovoo App for PC, Smartphone & Tablet. Download Oovoo App from Google Play for your smartphone and tablet. Download Oovoo App from Apple itunes for your iphone and ipad. 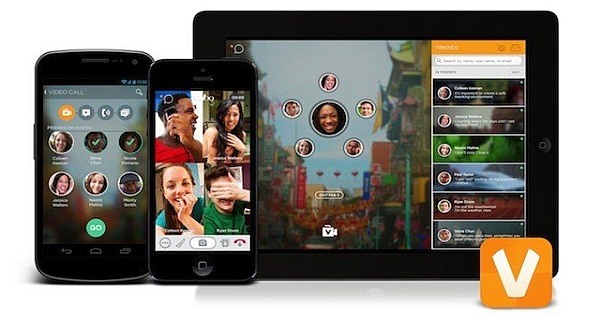 Do you want to know the best Tips and Tricks of your Oovoo App? OOVOO Messenger app includes most of functions that you would expect from a modern day messenger, but it also has its own exceptional features, to boost your chat experience. 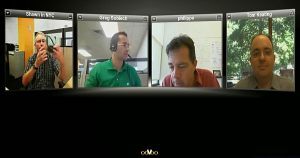 The fact OoVoo Messenger app allows you to create a video chat room is the first thing you should know about this particular application. Consequently, if all those who join your chat room have webcams, they will be able to see each other in real time. Webcams give a better chat experience, but most instant messengers have their limitations in this regard. Using traditional messengers, you may be able to start a conference, but if webcams are involved, it is a different matter. On the same window, OoVoo app supports up to 12 simultaneous feed including you. You can choose phone numbers or contacts to invite people to be part of your chat room. They will see similar window with the same feeds, when they join. OoVoo also makes it possible to send video messages. You can record yourself on a separate window and add multiple destinations, like contacts, e-mail addresses or even YouTube.